Miami University's Payroll Services team is dedicated to providing prompt and accurate service to employees with integrity and accounting accuracy. This is done based on compliance with state and federal tax regulations, along with University policies. Here you will find information on that reporting, including your annual W-2 and 1095-C forms. To ensure accuracy of these forms, please review the section on the W-4 form which determines Federal, State, and Local tax withholding. This form provides tax information and documentation of health insurance coverage for a calendar year. It is available in BannerWeb at the same time as your W-2. See Form 1095-C FAQs. Banks are required to report information about HSA distributions to the IRS by filing IRS Form 1099-SA, providing a copy to HSA account holders by January 31. This form is for informational purposes only. It shows distributions made for the previous tax year, including mistaken distributions. If you have any questions, contact Chard-Snyder at 800-982-7715 or log into your Chard Snyder online account. Paper copies of W-2s were mailed to employees who removed electronic consent before 10:00 am on Monday, January 10, 2019. Please allow time for your W-2 to arrive. Why don't Boxes 1, 3, 5 and 16 agree with my annual gross earnings? The IRS Form W-2 reports taxable earnings paid between January 1st and December 31st of each calendar year. Box 1: Wages, tips, other Compensation: The amount is calculated as gross wages reduced by the pre-tax payroll deductions such as retirement, deferred compensation contributions, medical, dental and vision premium, parking and dependent care. Box 3: Social security wages: Since employees of Miami University are public employees, their earnings are not subject to Social Security Tax. Box 5: Medicare wages and Tips: The amount is calculated as gross wages reduced by the pre-tax payroll deductions such as medical, dental and vision premium, parking and dependent care. Box 16: State wages, Tips, Etc: The amount is calculated as gross wages reduced by the pre-tax payroll deductions such as retirement, deferred compensation contributions, medical, dental and vision premium, parking and dependent care. What do the letters C, E, G, W, AA, BB and DD in code Box 12 reflect? Code 12C: This is the cost of group term life insurance over $50,000, included as taxable income in boxes 1, 5, and 16. Code 12E: This is the amount of elective deferrals under section 403(b). Code 12G: This is the amount you contributed to your 457(b) retirement plan on a tax-deferred basis. Code 12W: This is the employer contributions (including amounts the employee elected to contribute) using section 125 (cafeteria plan) to your health savings account. Code 12BB: This is the designated Roth contributions under section 403(b). Code 12DD: This is the total cost of the employer sponsored health coverage you received during the year. This figure includes both the employee and employer paid shares of health insurance premiums and is for informational purposes only. This amount is not taxable. Premiums for dental, vision and other insurance coverage are not included. What should I do if the address listed on my W-2 is incorrect? It is ok to submit a W-2 with your tax return in which the address printed on the W-2 does not reflect your home address. Payroll Services does not issue or re-issue an ameded form (W-2C - Corrected Wage and Tax Statement) due to an incorrect address. However, we recommend that you update your address in BannerWeb or contact the Department of Human Resources to have your address corrected. How do I get a duplicate copy of my W-2? I lost or never received my W-2. Employees who have elected the online W-2 delivery method have the convenience and security of printing their W-2 on demand via Banner Web. Employees who elected to receive a paper copy of their W-2 and lost it or never received it have to contact Payroll Services and request a dupicate or log into Banner Web and print a copy of the form. Please email your request to payroll@maimioh.edu. Please allow time to process your request and time to mail. Can you fax or email me a copy of my W-2? Effective January 1st, 2019 W-2s will no longer be emailed or faxed. Privacy regulations prohibit the faxing or emailing of W-2s. Current employees can access their W-2 on Banner Web or contact Payroll Servives to request a reprint to be mailed. How do I get my W-2 if I am no longer employed with Miami University? A W-2 was mailed to all individuals who were previously employed at Miami University. Please allow time for your W-2 to arrive. If you have not received your W-2 by February 9, contact Payroll Services to request a duplicate copy to be mailed. All new employees must complete both federal and state income tax withholding forms so Miami can withhold the correct income taxes from your pay. We recommend that you consider completing a new Form W-4 when your personal or financial situation changes (e.g., address or family status change). You can complete both the federal and the state W-4 withholding forms (for Ohio, Kentucky, and Indiana residents) in BannerWeb, under "Employee Services Online." Instructions for the federal W-4 Form are available from the IRS. See Forms and Publications. We recommend reviewing the appropriate instructions for your state's form. If you live elsewhere, you must complete the appropriate forms in the Payroll Services office (Roudebush Hall, room 2). If a Miami employee retires or becomes disabled, the employee may receive a pension based on earnings from their job at Miami. If an employee does receive a pension and is entitled to a benefit from Social Security based on either their own work or the work of their spouse (or a former spouse), the pension through the job at Miami may affect the amount of the Social Security benefit received. This is part of the windfall elimination and government pension offset provisions (see Retirement for more information about provisions). The employee’s Medicare benefits, however, will not be affected. The United States Congress passed legislation to extend the Medicare health care insurance program to all employees not covered by Social Security who are employed on or after April 1, 1986. 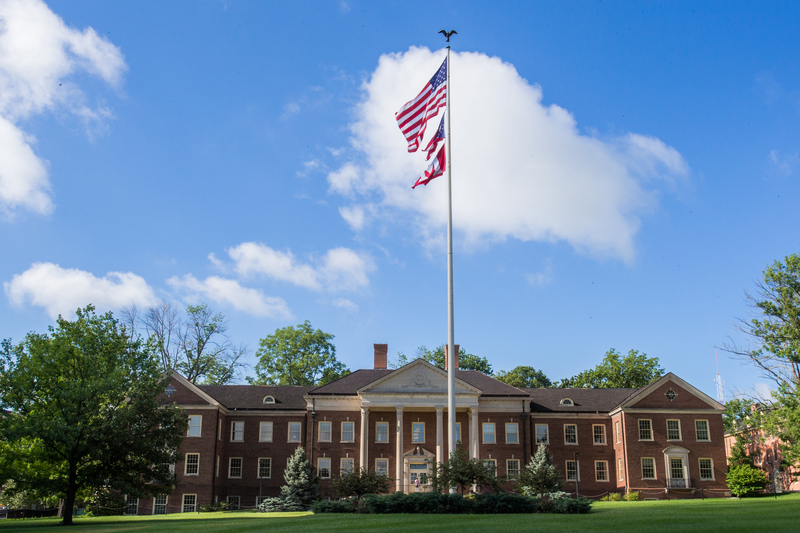 Since employees of Miami University are not covered by Social Security, all new employees hired on or after April 1, 1986, must pay a Medicare tax equal to 1.45% of their gross salary, and Miami University must make a matching contribution. For information regarding immigration services, visit U.S. Citizenship and Immigration Services (USCIS). University Tax Guide for Foreign Visitors (PDF 386KB) provides guidelines for staff, faculty, foreign scholars, foreign students, payroll, and personnel offices. Foreign Nationals must also complete the Foreign National Information Form (PDF 174KB).